The Boredom Breaker Loofa Toss 'n' Treat Roller is a fun, edible toy which can be thrown around and chewed. You can hide treats in the natural loofa roller so they fall out as your pet plays. Helps to stimulate the pet and reduce boredom. Ideal for ferrets, rabbits, rats and guinea pigs. 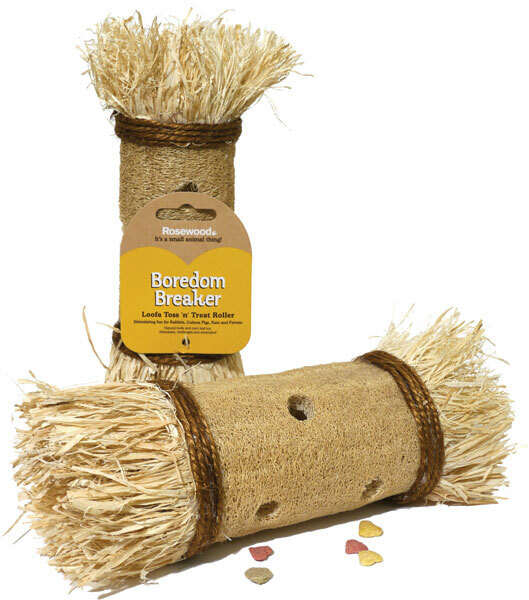 There are currently no questions for Boredom Breaker Loofa Toss 'n' Treat Roller for Small Animals - be the first to ask one!